CyberAgent, Inc. is a well-known Internet company in Japan. It provides services in multiple fields, such as online communities, video on demand (VOD), gaming, advertising, and Internet venture capital. In 2018, revenue is expected to exceed US$3.8 billion. Gaming is an important growth engine. CyberAgent has seven major game titles and other several tens of smartphone games. An animated version of hit titles such as “GRANBLUE FANTASY” has been made to entertain users with the world of the game in different way. Media is a major investment area of CyberAgent, such as AbemaTV, a internet TV station which offers about 20 channels for free, and FRESH LIVE, a live streaming service with many celebrities and popular personalities. As cloud computing, AI, and Big Data go global, rapid service changes pose higher requirements on data centers. Services such as VoD, gaming, and search services often cause traffic surges. Current data center devices cannot cope with this problem. In addition, one of the major challenges that CyberAgent, Inc. urgently needed to overcome was how to construct a data center network with high availability and high scalability while achieving smooth evolution towards IDN. 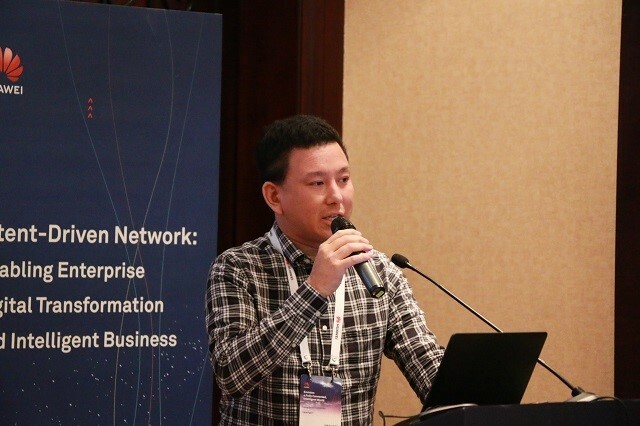 Tomohiko Sawadaishi, Chief Network Architect of CyberAgent, Inc., said: "The vision of CyberAgent is to create the 21st century's leading company. One of the core cornerstones that support this vision is the cloud data center network with high availability, high scalability, and continuous evolution towards intelligence and automation. Based on comprehensive evaluation, Huawei Intent-Driven CloudFabric provides high-standard solutions and devices to meet requirements for constructing our next-generation cloud data center." Huawei CloudFabric has served 2800 enterprises in over 120 countries. In particular, it has been put into large-scale commercial use in industries such as finance, Internet, Media & Entertainment (M&E), cloud service provider, and telecom carrier. CloudFabric is dedicated to using the IDN architecture to drive the construction of data center-centric next-generation network platforms for more enterprises. CE8800 series switches, used as spine nodes, provide 64 x 100GE ports, the highest-density in the industry. CE6800 series, used as leaf nodes, provide 100GE uplink ports, achieving 100GE interconnection within the data center. In addition, the CE6870 series provide an ultra-large buffer of up to 4 GB, effectively coping with traffic surges on the network and providing high quality transmission of services such as VOD, gaming, and searching. With the industry's most comprehensive inter-device link aggregation technology, the device networking coupling relationship evolves from stacking at the control plane to the use of M-LAG and then finally to coupling-free M-LAG Lite. This achieves active-active server access and zero-interruption when upgrading switches, ensuring services are available 24/7. The CE8860 series supports cards with four rates (10GE, 25GE, 40GE, and 100GE) while taking up just 2 U in space, achieving high-density access of servers with different interface rates and saving equipment room space. Devices can be integrated with third-party tools such as Ansible, implementing integrated network and IT management. Industries are now starting to enter the latter stage of their digital transformation. Enterprise data centers are no longer merely business support centers, but have also become value creation centers. Huawei will adhere to the principle of customer-centricity, respond to requirements of top global customers from industries such as finance and Internet, and improve network automation and intelligence with AI and Big Data technologies to continuously lead the industry development.